Brooklyn & Boyle | Art and Life in Boyle Heights : César Chávez & International Women's Month!!! César Chávez & International Women's Month!!! This year, March once again brings us several unforgtettable dates to remember. More than the annual celebration of San Patricio and the Irish American heritage it usually represents, March is also the month we recognize and honor the contributions of women to the world throughout history beginning with International Women's Day on March 8th. An then on Tuesday, March 31st, the nation celebrates the legacy of United Farm Worker champion César E. Chávez, a lion in the struggle for labor rights, social justice and human dignity. 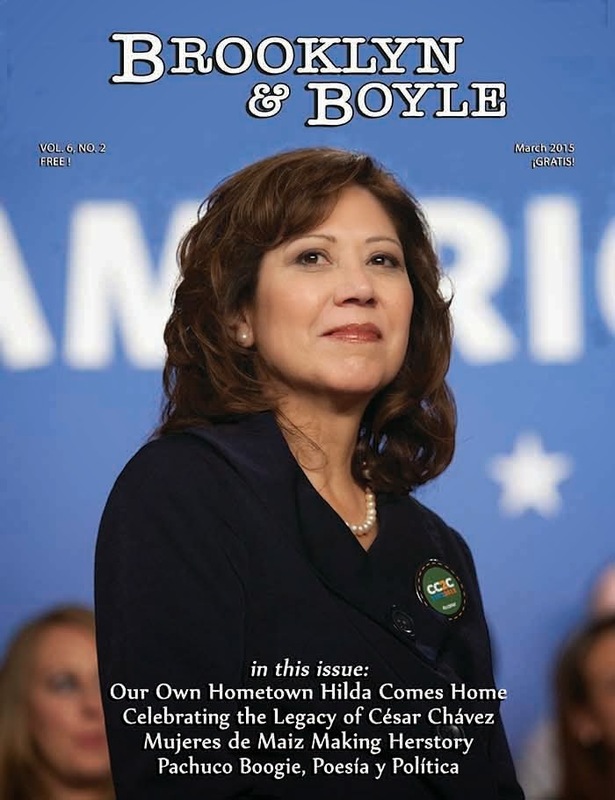 As such, it is only fitting that our cover feature a Latina leader from East Los Angeles who was inspired to pursue public service by the United Farm Worker struggle and the Chicana/o Civil Rights Movement. 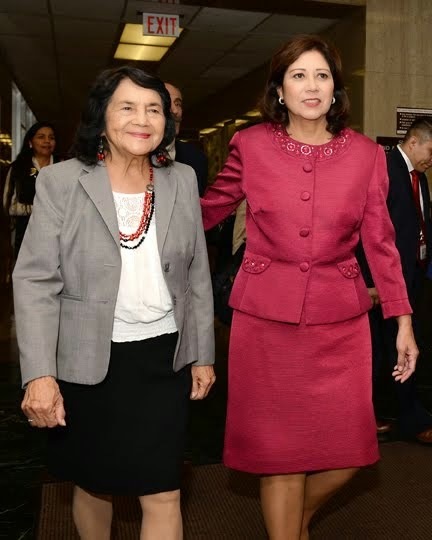 The newly elected Los Angeles County Supervisor for District 1, Hilda L. Solis has returned to represent the Greater East Side after her sojourn to Washington D.C., where she held a preeminent post as Secretary of Labor under Barack Obama. Brooklyn & Boyle's own Abel Salas speaks to the Supervisor as she moves into her new role as a tireless advocate for education, health, improved quality of life, and economic prosperity for all District 1 residents. The March 2015 issue of Brooklyn & Boyle also brings you the impressive Mujeres de Maiz line-up. Now in their 18th year, the MdM continue making Herstory with a year-round series of art, music, spoken word and traditional healing events/happenings/workshops being held at an array of venues across the Greater East Side that "honor womyn in mind, body & spirit." Brooklyn & Boyle proudly continues to underscore the breadth and reach of a uniquely artivist energy that is as transnational as it is based in the communities centered around South, South East, East and North East LA. Our readers and sponsors are warmly invited to consider sharing a message commemorating either or both of these significant community-wide celebrations with a salute or a greeting. Ask us how we can help you let Brooklyn & Boyle readers as well as our other advertising sponsors know that you are an important part our efforts to highlight these two significant community and cultural commemorations.